The Emmy Awards were ELECTRIC tonight. I was in my living room getting my entire life! Of course, I loved the glitz and glam element of the whole affair but what I LOVED the most was how my black sistas were winning - from the red carpet to the main event, we owned every space we had. 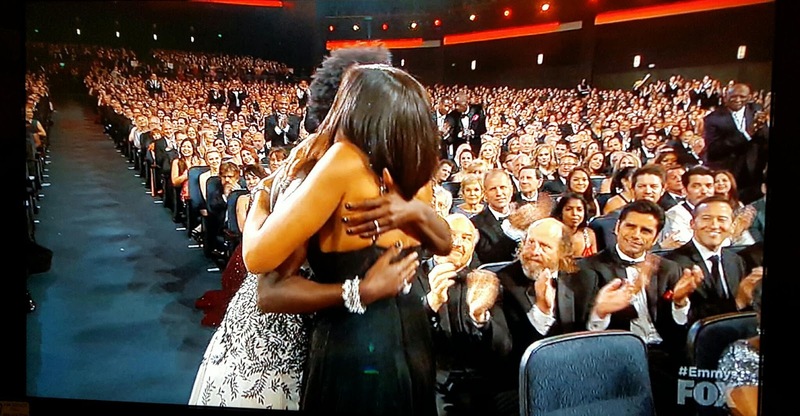 Check out the top five ways black women served and slayed at the most memorable Emmy event yet! 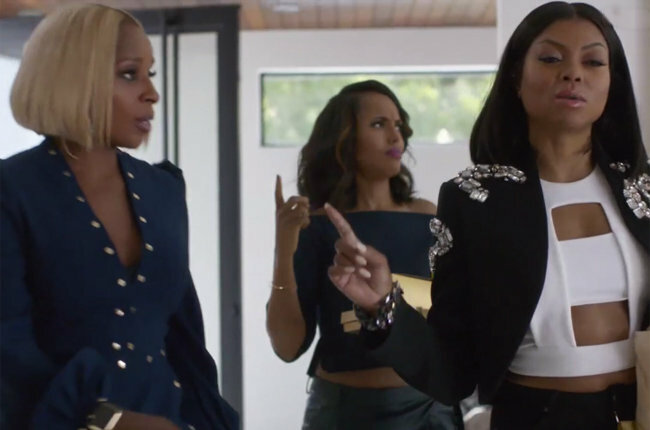 Mary J Blige, Kerry Washington and Taraji P Henson served us all with squad goal inspiration in their new Apple Music commercial. Directed by Ava DuVernay the clip showed the ladies having a ball, dancing and rapping to some of hip hop's greatest hits. My favorite part is when Kerry is rapping the line from "It's All About the Benjamin's." Classic! Ava revealed that Apple Music will be rolling out the rest of commercials this week (this is Chapter 1) and I can't wait to see more! 2. 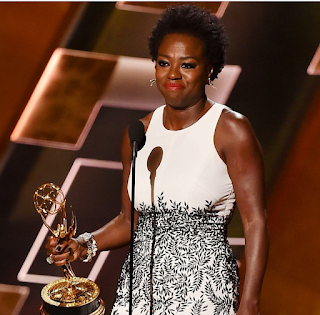 Viola Davis makes history . 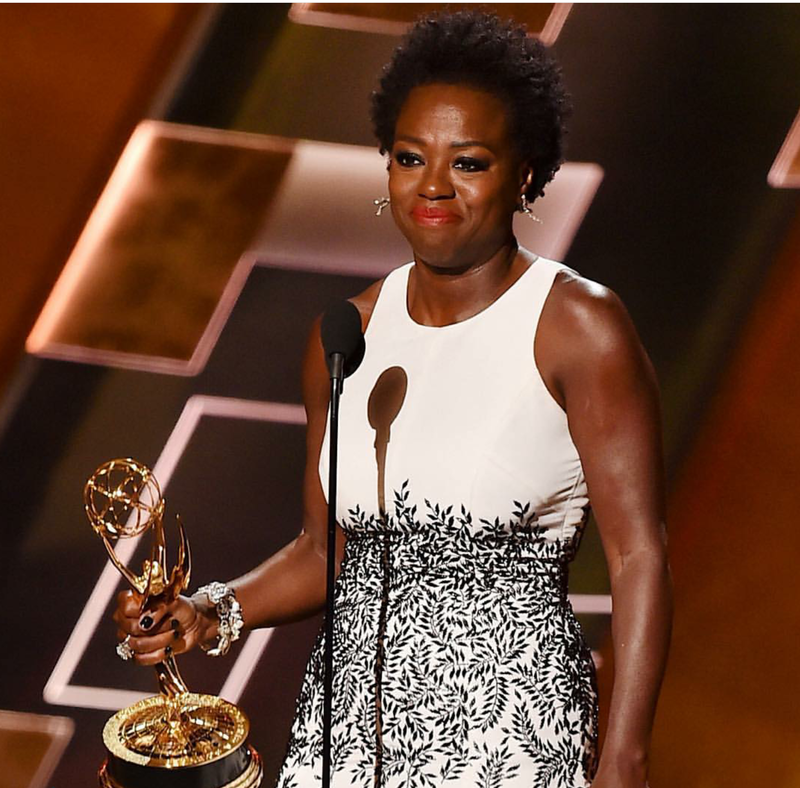 Viola made history as the first black actress to win an Emmy for Outstanding Lead Actress in a Drama at the 67th annual Emmy Awards. 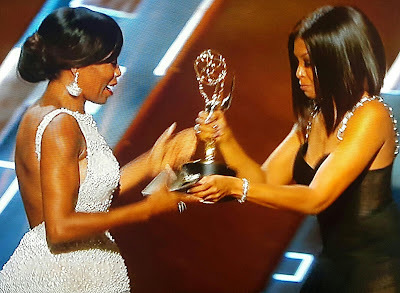 While accepting the award she thanked other black actresses who have paved the way for her, she name checked Taraji, Kerry, Nicole Beharie, Gabrielle Union etc..I was in tears listening to her speech. When she said "the only thing that separates women of color from anyone else is opportunity" I about lost it. 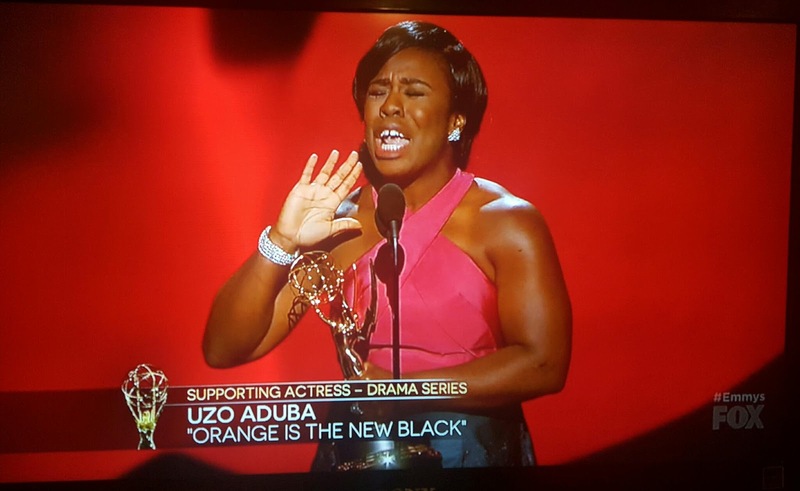 Also I love that Viola won her award in her natural hair. There is so much chatter *still* about our hair texture. With people questioning the beauty of natural hair and debating whether or not it's professional, I loved that on her special night Viola was also out here crushing all types of stereotypes. 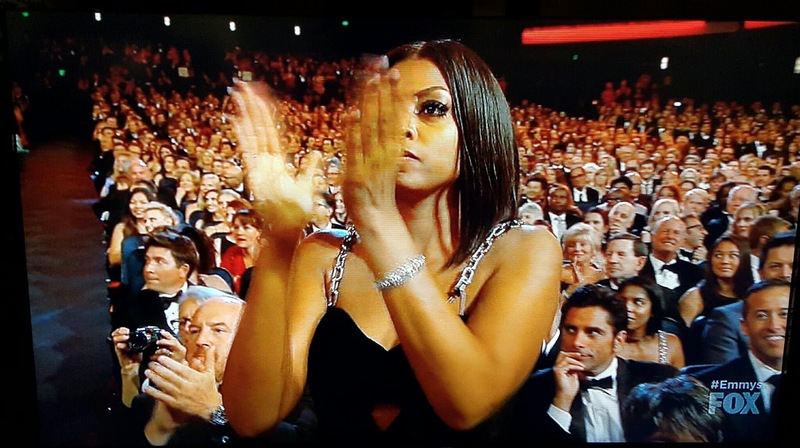 Tonight could have been a HUGE night for Taraji, she was also nominated in the same category as Viola Davis and Kerry Washington for Outstanding Lead Actress. Even though she didn't win an Emmy tonight, she won all of hearts because of her graciousness and how genuinely happy she was when other women of color won. I can't get over this hug between Viola and Taraji! Everything! Even when Regina King won....Taraji was beyond herself with excitement. Can you feel all this black girl magic? 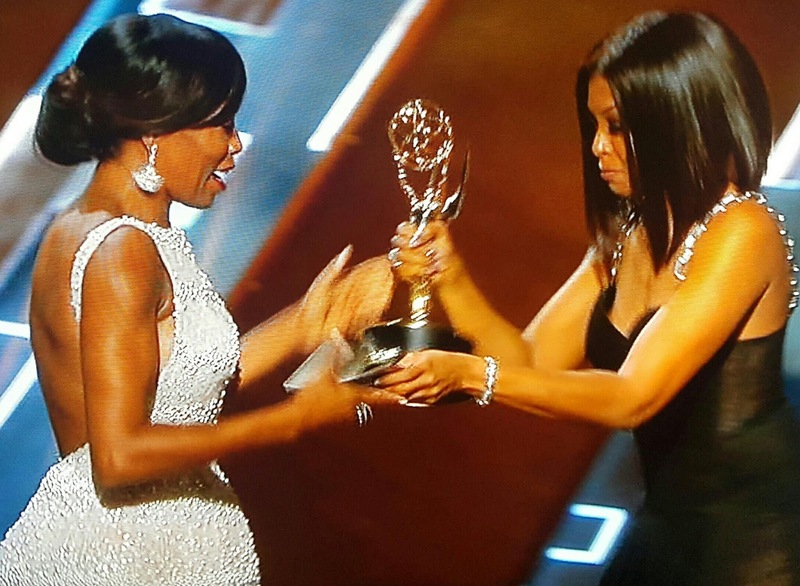 How incredible is it that Regina received her first ever Emmy award from Taraji? So special! Her speech was ripe with raw emotion excitement, and sheer joy. 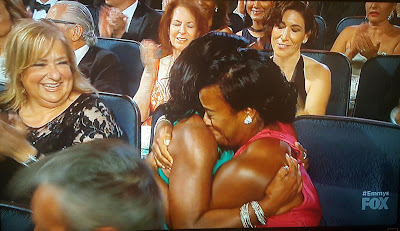 Before Uzo hit the stage she embraced her sister tightly and continued the love fest onstage where she thanked her sibling for their friendship. Awwwwww! 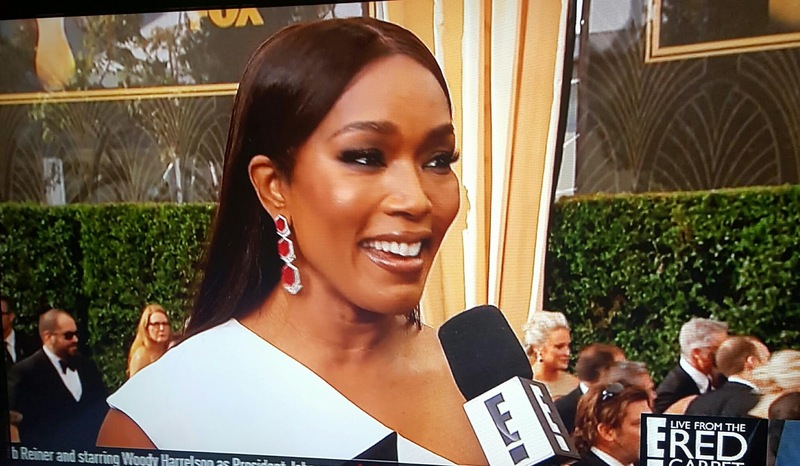 Even it was 106 degrees at the Emmy's red carpet, some celebrities seemed to just rise above. 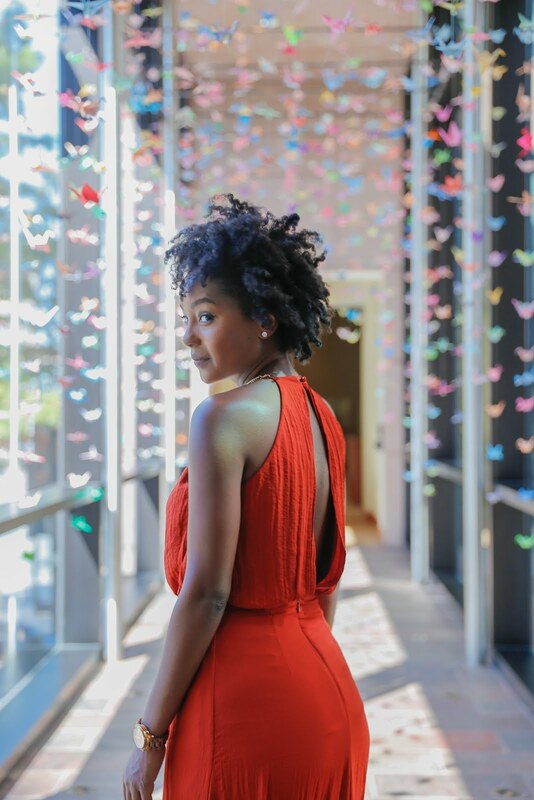 Like our fave natural hair fashionista - actress Teyonah Parris. I LOVE her hair. 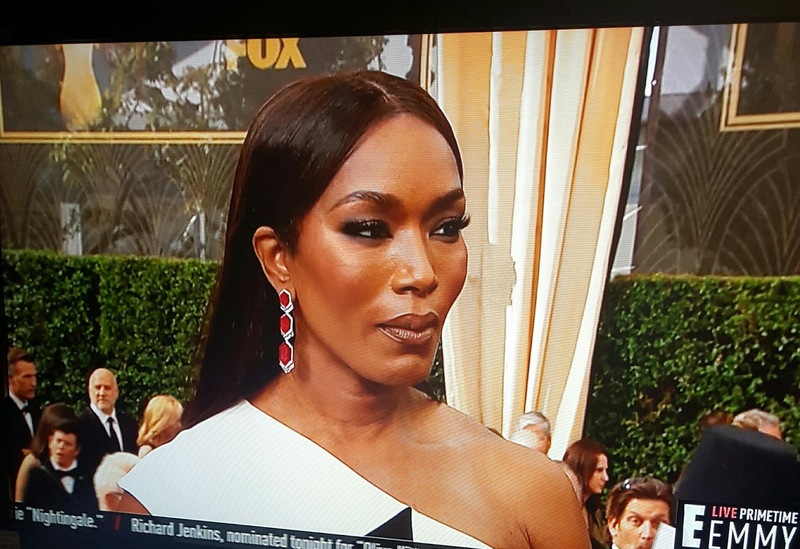 And can we just talk about how Angela Bassett just ruled the red carpet? She's 57 folks, like really. What is her secret? What I love the most is the nursing pillow in the back! Ha! Kerry Washington took phresh off the runway to new heights. The Marc Jacobs dress she wore tonight was just showcased at New York Fashion Week just four days ago. In fact, it won't be available until 2016. Ahhh the joys of stardom! I hope this is just the beginning of diversity in Hollywood. Sad that it's taken this long but progress must be celebrated! Did you watch the Emmy's? Thoughts?